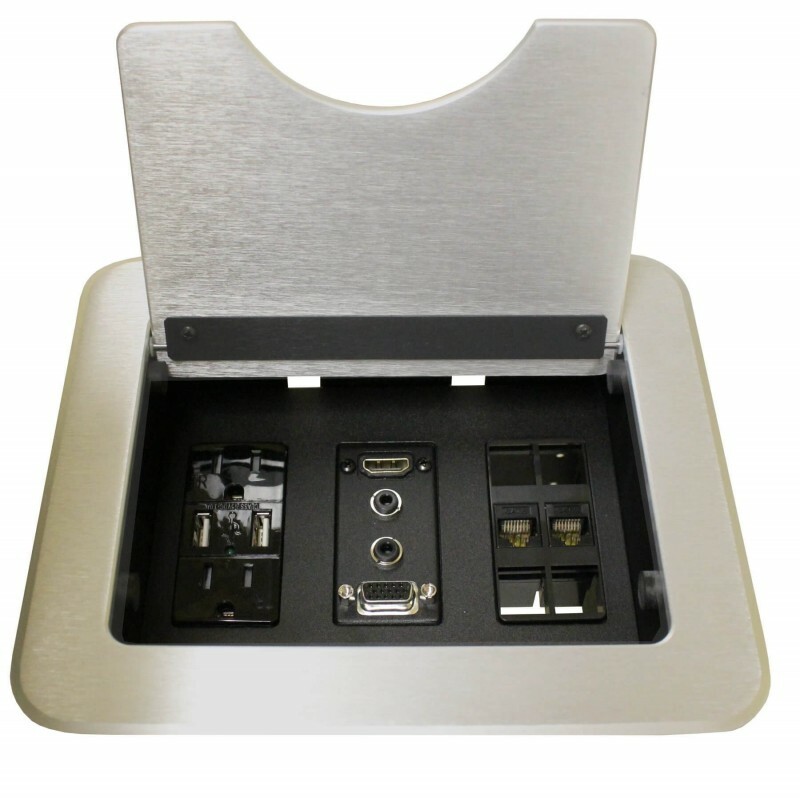 The CNK210S provides a simple, effective way of hiding/storing multimedia cables and connectors and is designed for boardrooms and conference rooms. The cables remain connected to a presentation system, enabling the user to access connections to AC power, video, audio, and other media sources. This product includes the CNK200 Cable-Nook Modular Tabletop Interconnect Box and the SP3504SC Standard Configuration Plate. The SP3504SC provides AC power, dual USB charging ports, video and audio connectors for both VGA and DIGITAL video. Additionally, this plate has six blank snap‑in ports with 2pcs of black RJ45 F/F connectors (SN1318*RJ45-B) pre-populated, and 6pcs of blank snap-in connectors (CM11301) provided separately, or you can purchase a variety of snap-ins for the CNK210. The video, audio, and snap-in connectors are bulk‑head style connectors. The bottom (or inside) connectors can connect to off‑the‑shelf cables which connect permanently to the presentation system. 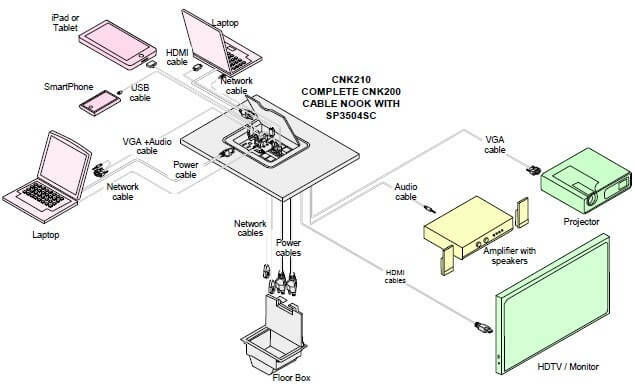 User guide for the Altinex CNK210 Cable-Nook box. Cutout template for the CNK210.